My present antenna system is 24X13 and 24X9 element on the same boom. The 9 element verticals are mounted in front of the vertical mass pipes. VE7BQH and K6MYC designed the vertical antennas for me. 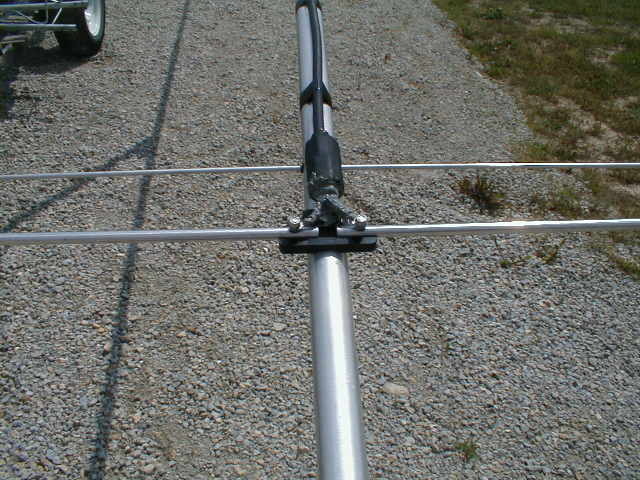 Do to the spacing of the horizontal antennas that are under spaced and the vertical antennas are spaced correctly. The gain of the vertical and horizontal are both 24.6 DB. All antennas are homebrew by me. I use two 1.5 ton truck chassis to support and turn the array. The truck chassis I have cut down so they run on the cement track. I only motorized one truck chassis to move the array. The motorized chassis has a 1.5 HP DC motor that is hooked up to a 100 to 1 gear box to the differential that is 2.5 to 1 ratio. I also welded the differential so I would have positive traction for the snow and ice in the winter. The array was taken down in 2012 and I replaced the 25G main boom that needed replaced after 10 years. If it ever needs to be replaced again, I will change the 25G to 45G. All my antennas use split dipole with ferrite cores on the MLR-400 close to the driven element. 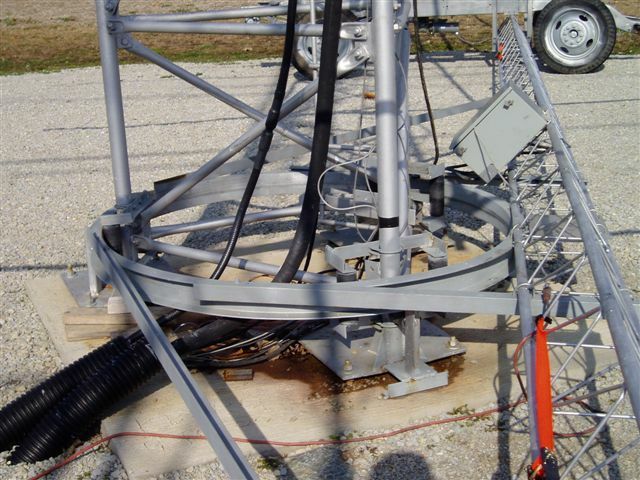 All antennas are 50 ohm designed. This spring I will be changing the tracking software to HB9DRI, Alex’s system that was designed by OE5JFL using MAB25 encoders. At present I am using old dos software with an old dos computer. This way I will be able to eliminate a computer in the radio room. Other new things will be a new software Flex-6700 that I should have in late spring of 2013. At present, I run a Flex-5000 with a VU5K two meter module. The software I run for digital mode is MAP65 written by K1JT Joe Taylor. I feed MAP65 tones to the Flex-5000 to transmit with. I also use Trakbox that was written by IK1EZN. It will let you click on the waterfall of MAP65 and change the frequency of the Flex-5000. This is a very nice program that I use a lot. 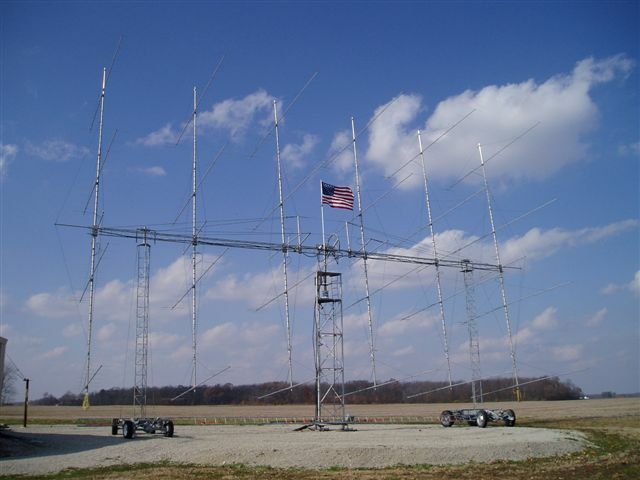 I have been on EME since 1981 and have had many systems at both QTH’s. I mostly run JT but would be happy to run CW with anybody also. At the present time 01/02/2013 I have 228 DXCC countries confirmed. I call CQ on 144.127 second during contest and other times, if anybody would like to try with my station? 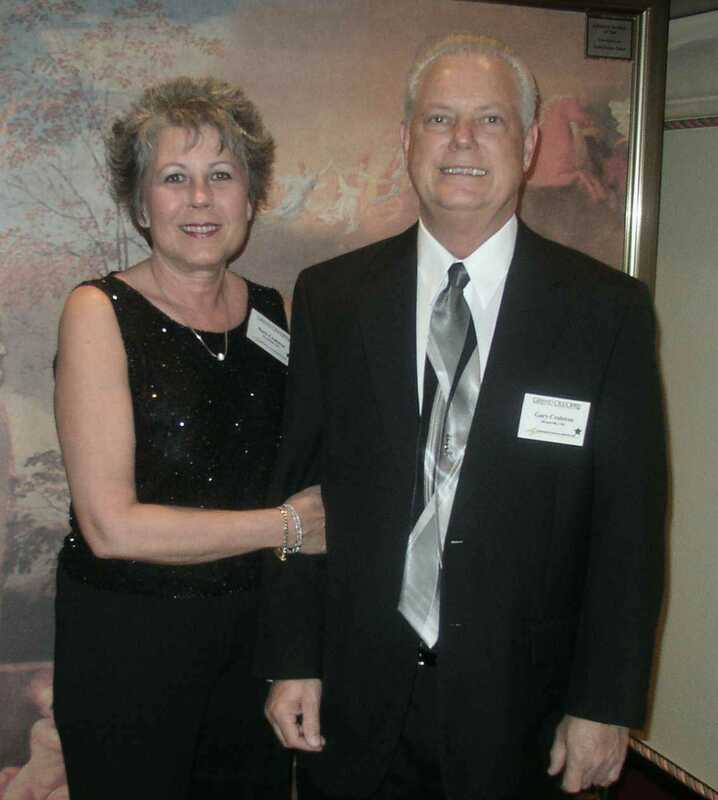 Please send me an E-Mail to kb8rq@yahoo.com or kb8rq@spasalon.com. I would be happy to run with your station and I would be glad to help you get started if I can. I wish everybody a Happy 2013 New Year. Hope to see you on the air.